Jamie has over 5 years experience in teaching to a range of ages, abilities and group sizes and has recieved great feedback from his 40+ students. 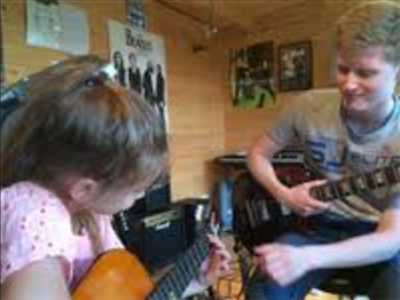 Jamie's main disciplines are in guitar and music theory (after attaining distinctions in both grade 8 exams), however he also offers tuition in drums and ukulele. 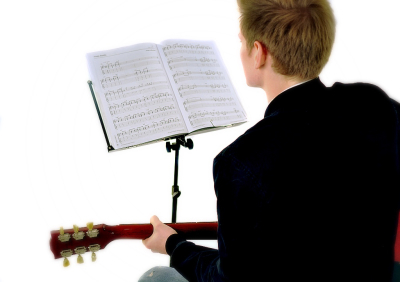 Additionally, with an A* at GCSE and A at A level, Jamie can help in preparing school students for music exams/ coursework. Prices are £12 for 30 minutes and £24 for an hour. He is willing to travel or you are welcome into his home studio in Ardley, near Bicester. Jamie is DBS checked. 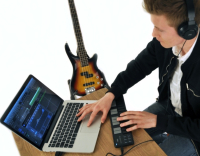 Jamie has been arranging music since the age of 13 and has been taught and highly praised by professional composers. He can arrange in a variety of genres, for bands, orchestras, sync or songs that need musical fireworks thrust upon them! 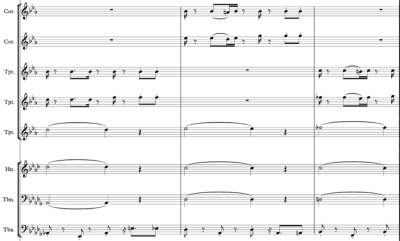 Jamie can produce a professional score from Sibelius (a notation programme) so getting the written music to instrumentalists is no problem. Professional composer and conductor, David Penri-Evans, describes Jamie's jazz transformation of Rihanna's 'We Found Love' as 'a very good arrangement with effective writing for the brass. Very practical. The score is well produced, detailed and accurate'. With distinctions in both grade 8 guitar and music theory, you can be confident in Jamie doing a good job if you need a guitarist for a recording session or show/ tour. A variety of guitars (including 12 string), sounds and styles are available, and he can also do vocals/ BVs, ukulele, mandolin, drums (and cajon) or bass if needed. He can drive. ​'[Jamie's] chops are certainly in good shape'- Jordan Humber, one of Britain's busiest online session guitarists. Jamie has been songwriting since 11 years old and having now completed a degree in it, he is keen to start writing for other artists. Writing to various briefs and deeply analysing masterpieces of a wide range of genres has turned Jamie into a very credible writer; his songs have been very much complimented by expert songwriters like Tim Hawes and Andy Nixon, who have written for the world's biggest artists. 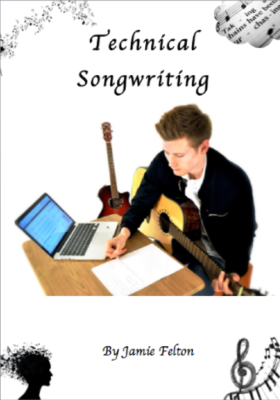 Jamie has also written an educational book on songwriting (see right). 'Effective mixes with energy and dimension'- Mark Taylor, producer.